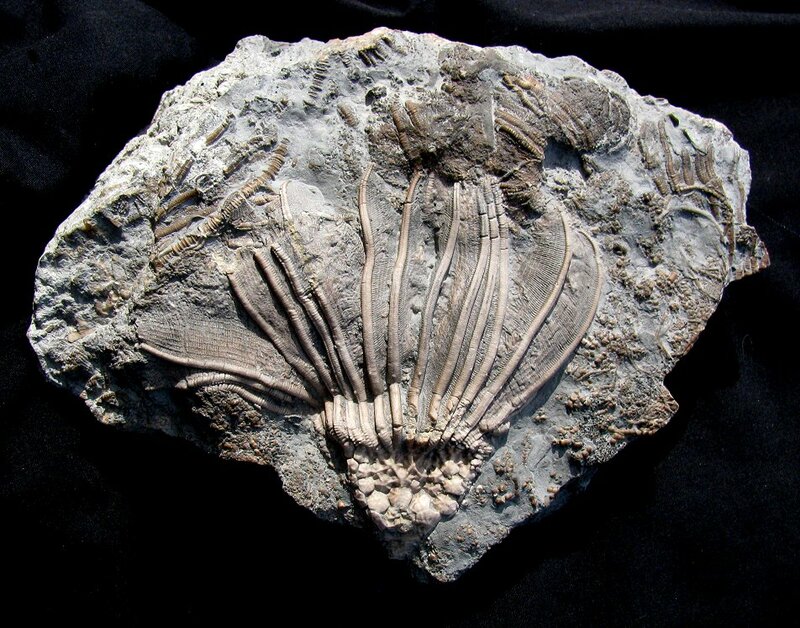 Here is a large crinoid from a location that is now closed to collecting. This is Cactocrinus imperator from the Mississippian of Iowa. This location closed the doors to collecting when some fool drove their car over the wall of the quarry. This specimen was found DECADES ago in the main pocket and was recently acquired from a major fossil collection. This beautiful sea lily is very 3-dimensional and exhibits wonderful detail. The camerate crinoid has a big, stellate-plated cup and long, stout biserial arms that display extremely fine pinnulation. The gorgeous, creamy-brown crinoid contrasts nicely with the grey matrix. The fossil is well showcased on the natural plate of limestone. 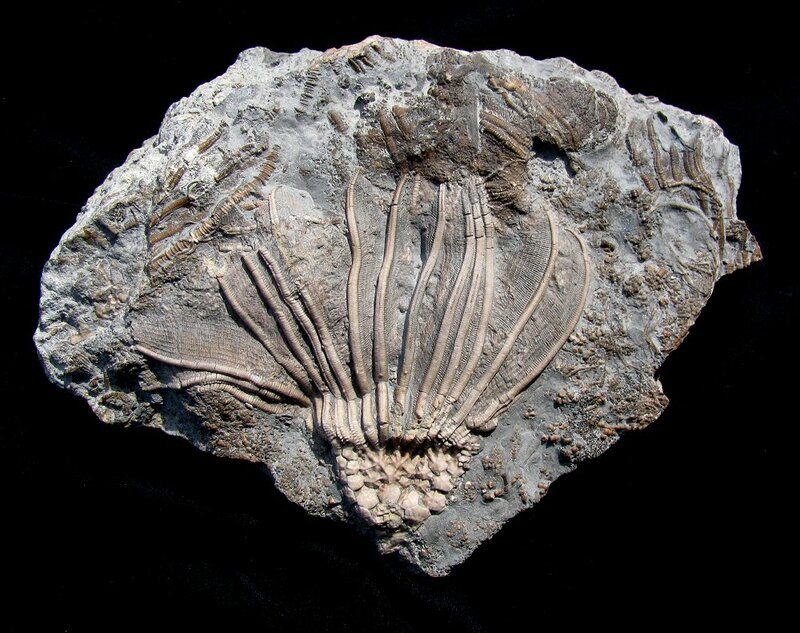 This is a beautiful example of a large Cactocrinus from the famed Gilmore City ''Main Pocket''.